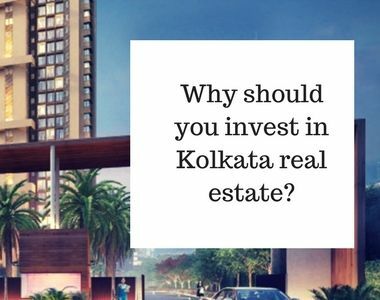 One of the most interesting trends in real estate market Kolkata is the entry of new players offering luxurious yet affordable properties for the homebuyers. A number of up-scale multistory projects have been launched all across the city and among these the Southern part of the city is witnessing huge growth. The social infrastructure is also well-developed here and more and more end-users in the city are willing to move to apartments. This has further increased the demand of real-estate properties here. If you are among those homebuyers looking for lavish homes equipped with all the luxury features and amenities of global standards in Kolkata, then you must have a look at Mani Vista project located in Tollygunge. This is a high-end residential development offering the exotic living facilities and comfort that a modern homebuyer craves for. 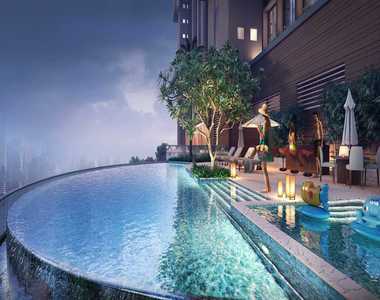 Besides this, one can also experience that taste of traditional heritage of the city when he will move to these homes. Located at a premium location Tollygunge in Kolkata, the area offers quick and hassle-free connectivity to all the major locations in and around the city. The social infrastructure at this location is refined and the project is also located very close to several civic amenities including banks, colleges, ATMs, shopping centers, retail centers, hospitals and more. The transportation system is also well-developed and one can access anything quickly as all conveniences are easily available at your doorstep. Apart from this, the airport is also in located very close to the project location. Mani Vista Tollygunge is an upcoming residential venture that will offer a beautiful mix of 3, 3.5 and 4 BHK luxury homes to the residents that will bring you all the amenities to make your living comfortable. These homes are designed with all the classy and ultra-modern features to elevate your lifestyle. This new housing segment offers 3-side open apartments that ensure maximum natural light and air to spread throughout. You will feel living close to nature while sitting in your balcony area watching to the central greens. 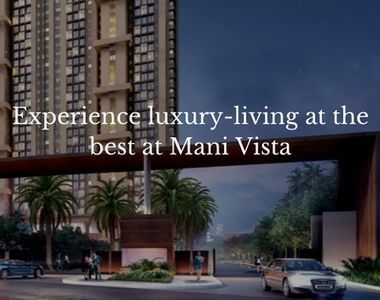 Life at Mani Vista Kolkata is peaceful as well as pollution-free with its beautiful landscaped gardens and open areas. The whole complex is planned brilliantly by the world-class designers and architects to elevate your living standard. The builder has thoughtfully designed the complex as per the expectations and requirements of modern homebuyers. Living here is truly amazing. The apartments are equipped with super-luxurious features like stylish interiors, superb flooring and best fittings. The area of apartments varies from 1795 sq. ft. to 2364 sq. ft., offering a luxurious space to enjoy the lovely moments with your beloved family. There is a lavish banquet hall at the complex with an attached lawn and pre-function area where you can plan your gatherings and family functions. There are separate swimming pools for adults as well as kids along with several indoor and outdoor sports facilities. The project offers every facility and feature to make your living truly comfortable. If you are planning to invest in a property in Kolkata, investing in Vista project by Mani Group is really the best option. So, what are you waiting? Have a look at this property and make a wise investment decision.